Real estate is a great investment opportunity that enables investors to put their money to work and let it grow today so they can have more tomorrow. Throughout history, real estate has been among the safest investments while having potential gains at the same time. Although investing in real estate is a simple process with minimal risks, it is important you carry out a market analysis and understand the principles of real estate to avoid inconveniences and losses. In this post, we will discuss how to get started with real estate investing. Real estate investing involves the purchase, management, ownership, and rental (or sale) of real estate to generate profit. Real estate refers to an identified piece of land together with any improvements fixed or permanently attached to it. These improvements may include any built structures on the land such as a store, office, rental home or other buildings. Permanently fixed improvements may include; trees, fences, roads, and streams, among others. A real estate investor is a person or business who invests in the real estate market through purchasing, leasing or by acquiring rights to a piece of real estate. It is important to understand your current financial stage because various real estate strategies will suit you better than others. An investment in real estate is a vehicle which people use to improve their financial status which enables them to move from one financial stage to the next one. After taking into consideration your financial picture, the next step in real estate investing is to identify and choose a real estate investment that will help improve your finances. Although having a single strategy doesn’t mean you cannot become flexible and change later in life, starting with one specific strategy enables you to focus and get the confidence you need to get started with your investment. It is important you carry out a market analysis before picking a target market; this is because choosing the right market will make a big difference in the final results. Property investment criteria refer to a written profile that describes your real estate to your potential investors, partners, and real estate agents. Although in real estate investment you can operate without employees, you will need advisors and contractors who will offer services to you. It is practically impossible to run your real estate investment without a team. Networking with other real estate investors is an important strategy to help you find the right members for your team. Unlike other investments, in real estate, you can use financing to help you purchase a real estate property. The best financing that suit you normally depend on your financial situation. Finding a good deal for your real estate can be a challenging task. To get good deals for your investment, you need to create a good marketing plan that will enable you to reach a wider market. Just like other investments the main aim of investing in real estate is to make a profit. Ancillary real estate investments may include a laundry machine in a rented apartment or a vending machine in office buildings that serve as mini-businesses inside a real estate investment. Ancillary investments can be a big source of income that enables you to generate money from a semi-captive customer collection. This refers to income which is generated by real estate brokers by selling and buying land, and property managers who manage the daily operations of the real estate properties. Investing in real estate enables you to enjoy increased control over your investments. For example, you can improve your property using creative ways and generate more revenue from your property. 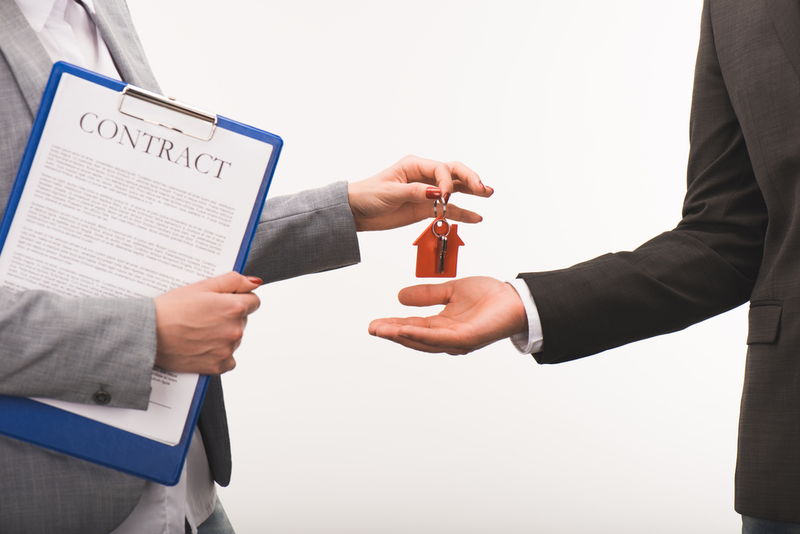 You can also acquire negotiating skills that will enable you to secure better deals for your property. In real estate investment, investors can borrow funds to acquire a property which they can’t afford and enjoy the potential profits that come with the property. However, increased leverages come with increased risks. Real estate investors enjoy several tax benefits. Real estate profits are normally taxed lower than incomes. In addition, real estate investors can decrease the value of their property annually to decrease the tax basis of their investments. For many years, real estate investment has been a safe asset class for investors that protect your capital from inflation at the same time returning gains. However, the returns you get from your real estate investments must exceed your taxes, risks, and costs of operating the property. Are you considering real estate investment and you need support to make your dream come true, FlipOut Academy is the best option for you. At Flipout Academy, we make your journey to building wealth easier by providing a comprehensive guide to real estate investing and updating you on the current market trends. Contact us today to book for a consultation appointment.